Baggage trolley designed in classical, elegant and durable design to carry the huge baggage/luggage in large quantity for easier tranfer. Suitable for hotel usage. 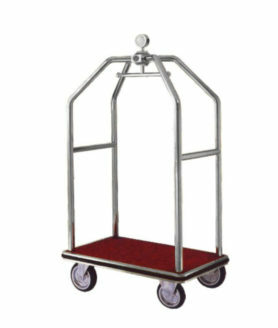 Baggage trolley designed in classical, elegant and durable design to carry the huge baggage/luggage for easier tranfer. Suitable for hotel usage.